This post was written by Stephanie Larson, the recipient of the Emory Libraries’ OpenCon 2018 Travel Scholarship. Anyone who reads about the current state of the humanities is probably aware of the persistent trend of producing articles that sound the death knell for the whole humanistic enterprise. According to these articles, the humanities are dying or, in the case of some particularly hyperbolic writers, dead. I’d like to suggest that onlookers hoping to take a turn poking at the supposed corpse of the humanities would be better suited considering the ways we can transform the discipline. My attendance at OpenCon2018 helped me recognize that one of the most promising routes for reviving the humanities may come through Open Access. OpenCon gathers students and early career researchers and professionals to learn about Open Access, Open Education, and Open Data. Unlike traditional conferences, OpenCon revolves around an applied program that challenges participants to learn, collaborate, and put their skills into practice. OpenCon is open in every sense of the word, not only in scholarly, research, and publication practices, but by making diversity, equity, and inclusion the foundation of the conference. Thanks to incredible Open Publications at Emory that promote graduate student editorial leadership—like Southern Spaces and The Journal of Humanities in Rehabilitation—I gained first-hand exposure to Open Access and its importance early in my graduate career. These journals taught me about Open Access publications, Open tools and helped me develop new techniques for making my own work Open. However, I never made the connection between the humanities at large on the Emory campus and Open Access until I attended OpenCon. During OpenCon I participated in “Unconference” sessions that examined the role between user design and careers beyond the tenure track. I learned about the world of preprints and what it means to be an Open advocate. I met folks who are working with Open data, research, and publications in diverse fields and professions like law and the social sciences. The sessions and conversations I participated in highlighted the need to incorporate more Open Access and research practices into humanities disciplines. Open humanities can facilitate global cross-disciplinary exchanges and collaborations, promote public scholarship, and equip graduate students with the tools and direction to consider careers beyond the tenure track. Although Open Access holds significant benefits for humanities scholars, the bulk of Open adopters have been folks in publishing, libraries, social and natural scientists. How can we further develop a humanities presence in the Open community? This was one of the primary questions that arose during the OpenCon Open Humanities and Social Sciences Annual Meeting session. Although there are no easy answers, one way to encourage Open Humanities is to start at the graduate level. With this in mind, I returned from OpenCon interested in exploring ways to encourage the growth of a robust graduate student oriented Open Humanities at Emory. 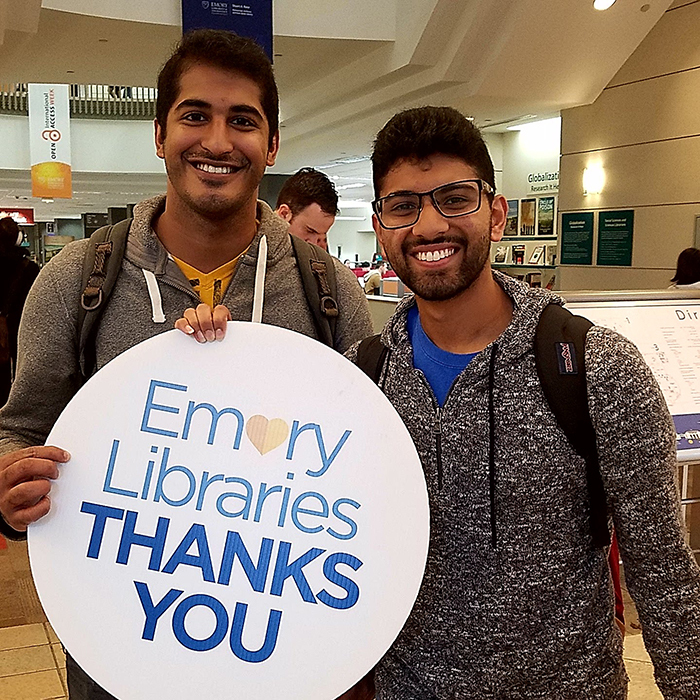 Given Emory’s phenomenal resources, like the Emory Center for Digital Scholarship and the Office of Scholarly Communications, as well as graduate students who are already doing Open Humanities work, the opportunities are endless. I am eager to begin my work with the Office of Scholarly Communications during the Spring 2019 semester where my primary task will be to develop a program to encourage graduate-oriented Open Humanities at Emory.